Alia Bhatt shared sneak-peek of the trailer of Kalank ahead of its release. One of the most anticipated films of the year Kalank which has an ensemble cast of Alia Bhatt, Madhuri Dixit Nene, Sanjay Dutt, Sonakshi Sinha and Aditya Roy Kapur is all set to hit theatres on April 17. The trailer of the film will release tomorrow and ahead of its release, Alia Bhatt shared a glimpse of it. Alia, who has been treating fans with her upcoming film’s updates recently took to her Twitter to share a sneak peek of the trailer of Kalank and wrote, “Kalank trailer tomorrow!”. 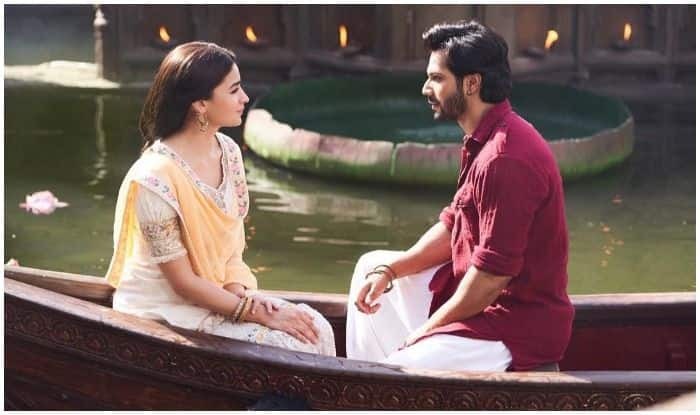 A few days ago the makers unveiled the film’s title track ‘Kalank Nahi Ishq Hai’ which received a lot of positive response from the audience. It is an intense soulful song composed by Pritam and crooned by Arijit Singh. Right from the teaser, the title track was the highlight of the film and a few glimpses were enough to pique the curiosity for the song. The title track brings back the super hit trio of composer Pritam, lyricist Amitabh Bhattacharya, and singer Arijit Singh, who have earlier delivered chartbuster songs like ‘Channa Mereya’ and ‘Ae Dil Hai Mushkil’ title track. Earlier the makers released ‘Ghar More Pardesiya’ and ‘First Class’.